After a record-breaking event, Infinit Nutrition Canada will fuel Real Deal Racing. WINDSOR, Ontario - Feb. 24, 2019 -- Infinit Nutrition Canada is a leader in ultra-premium custom-blended nutritional sports drinks and is announcing their newest partnership with Real Deal Racing. 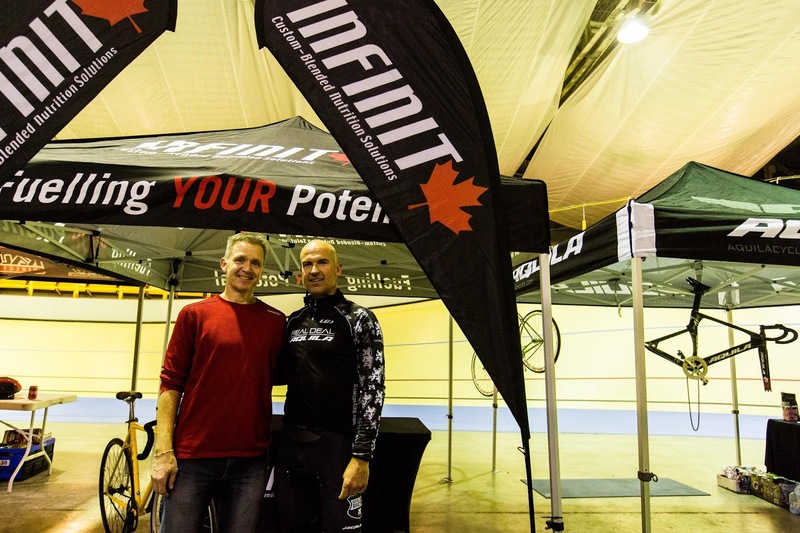 Infinit Nutrition Canada will be fuelling cyclists with their sports drink products at every Real Deal Racing event. 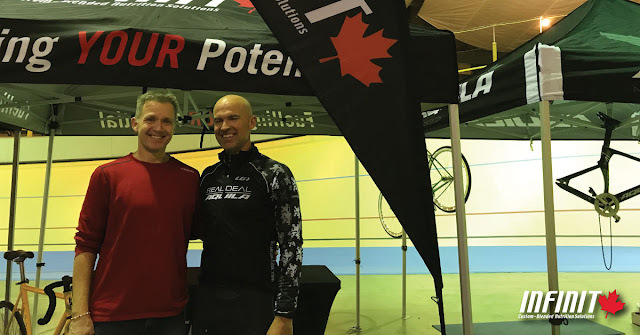 This partnership was made apparent after Infinit Nutrition Canada successfully fuelled Ed Veal for 24 hrs during his cycling fundraiser at the Forest City's Velodrome, in London, Ontario. 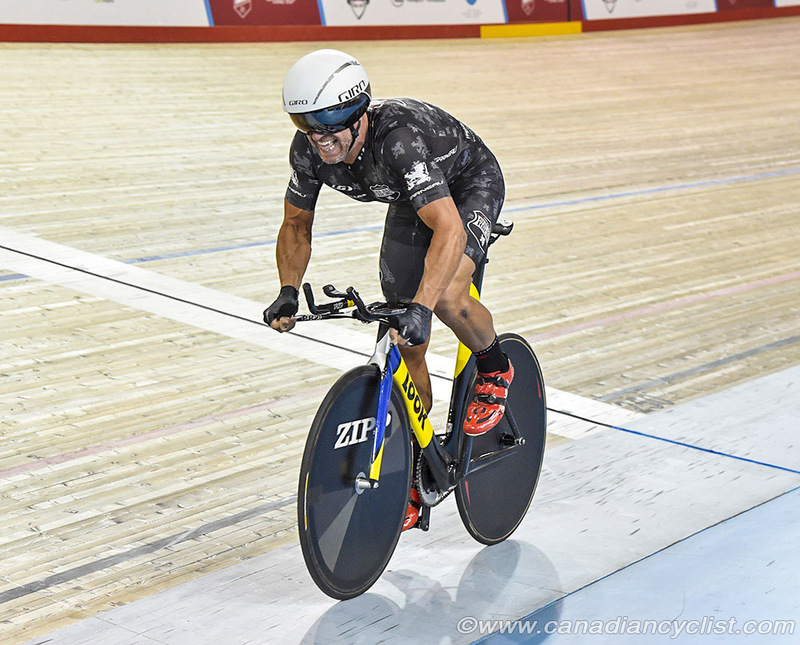 Ed was able to set a new national record by cycling a total distance of 735 kms within that timeframe. "We were thrilled to be part of Ed Veal's 24 hr Track Attack - that raised nearly $60 000. After Ed cycled 735 kms, fuelled on Infinit - it made sense for us to find a way of working together. 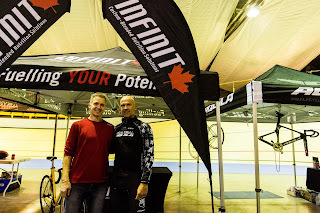 We are excited to be fuelling one of the best cycling teams in Ontario and the exposure it will bring to our Infinit brand." – Darcy Haggith, CEO of Infinit Nutrition Canada. 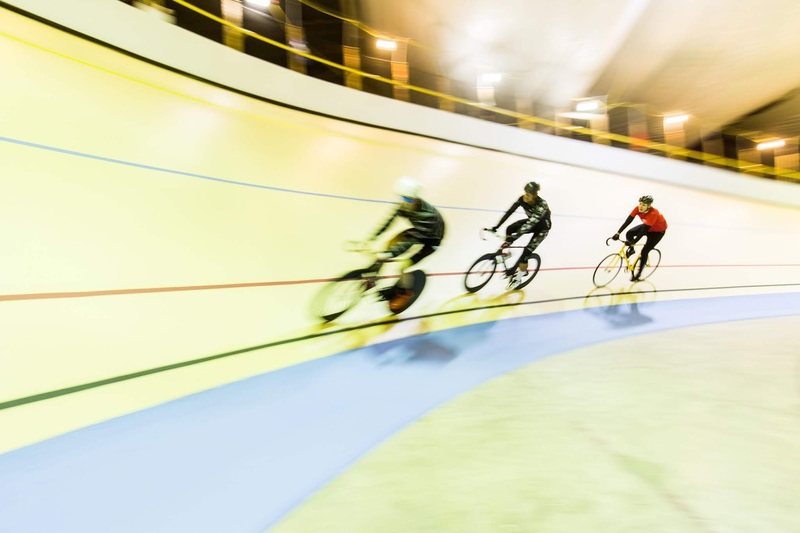 RealDeal Racing is more than your average cycling team. They are a coaching business, an event organizer and a cycling team owner/operator all rolled into one. Their passion is the sport of cycling and giving back to the sport that gives them so much in return. 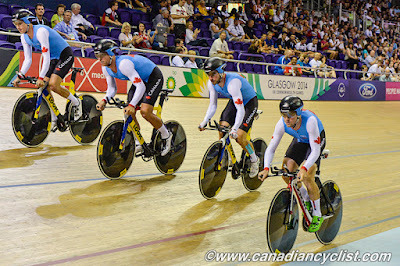 To find out more about Real Deal Racing visit https://www.realdealracing.ca. Infinit Nutrition Canada is proud to fuel Canada's most elite athletes, recreational athletes and weekend warriors with the highest grade, ultra-premium nutritional sports drinks. Nearly all sourced materials are from Canada and manufactured proudly in Windsor, Ontario, Canada. Infinit Nutrition is proud to fuel the most elite athletes, recreational athletes, and weekend warriors, through the understanding of individual needs and by providing the purest nutritional sports drinks to fuel them. For more information, contact Infinit Nutrition Canada directly at 1-877-691-3835 or by email at cs@infinitnutrition.ca. 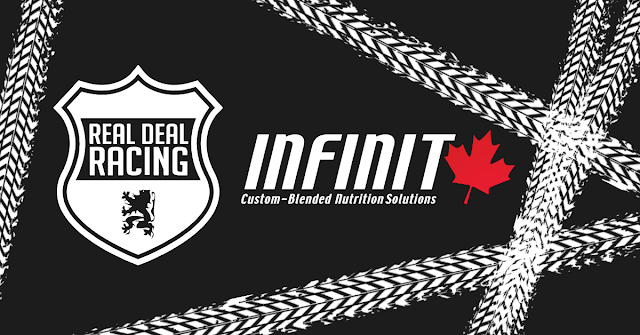 Find out more about Infinit Nutrition Canada by visiting https://www.infinitcanada.com. 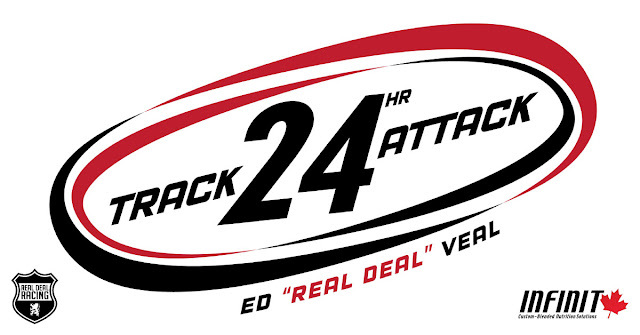 If you didn't get a chance last week to read our Read Deal 24 Hr Track Attack Post, this is the prequel to this entry. Some things are just so cool and grand that you want to be part of them. The Track 24 Hr. Attack was just that. 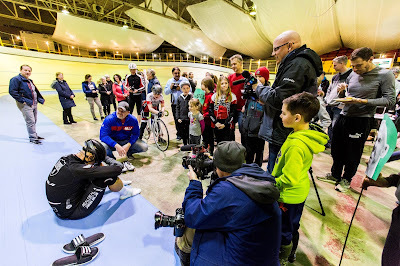 Simple: just ride 24 hrs and raise $25000 to improve the heating and lighting at the Forest City Velodrome. After connecting with Ed Veal (the chief participant), and coming up with a fuelling strategy, my attention quickly turned to ‘how can I join in the fun and help them hit their goal of raising the $25K?’ Ed put me in touch with the club president, Craig, to arrange to set me up on a rental bike and share some details. Once up at the top of the track, I was amazed and thrilled - the infield was filled and there were 15-20 riders on the track. This is a big deal! What a community! I asked one of the volunteers if they knew where Craig was, and went down and introduced myself. There was lots going on yet Craig asked me, “Can I help you bring your tent in?” Awesome. We quickly got our stuff, and he proceeded to get my bike, which I was going to ride between midnight and 4 am. Great vibe here! Setting up the tent I met Amanda - Ed's wife and a major support during the 24 hrs. Amanda was amazing. She told me how grateful she and Ed were that we at Infinit had taken care of the fuel. Her incredulous comment regarding (Cold Brew) this coffee protein stuff: "Where has this been all my life?!" Everything felt great. Next, it was off to my parents for dinner and a chance to watch the Leafs game together. My long-time friend Corey came over to catch the game as well, so my boots were being filled! 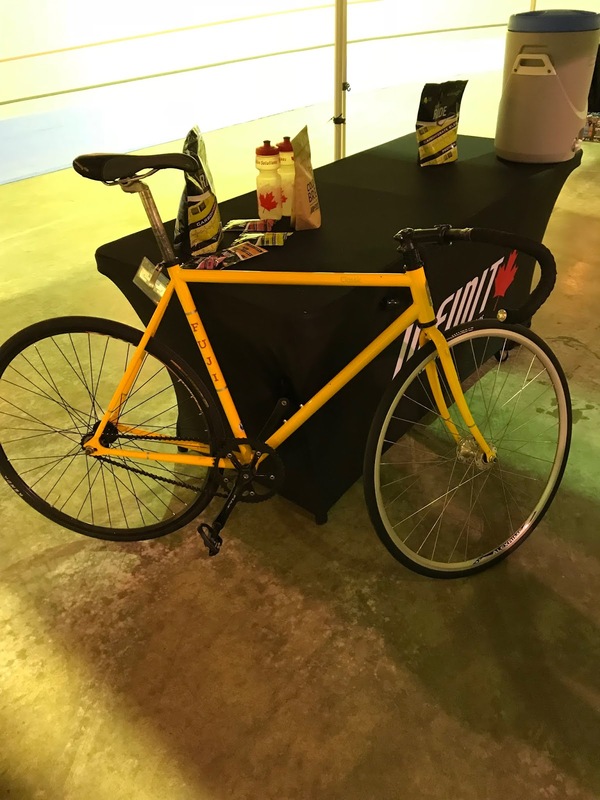 After the game, I got my bike kit on and headed back to the velodrome. There was still lots of activity when I arrived at 11:30 pm. I got my bike set, got the lap counter sensor on the bike and I was ready to go. 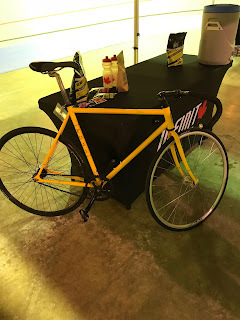 I don’t know if you have ever ridden a fixed gear track bike or not. There is no coasting: if you are moving, the pedals are moving. The only brakes are your legs and when you stop, you best click out at the right time or you topple! I was worried about the moment of truth. When I got on the bike - I mentally rehearsed this the two nights prior so I wouldn't fall flat starting or stopping. I guess that helped because I was good. Ok, now this will be easy. Just ride- that's what I do. I ride lots, so this will be good. My goal was to go at least 100 km or 725 laps. I was riding fine and starting to get into a groove - not terribly fast. Every few laps the main group (which included at least one of the Real Deal Racing Team members) and Ed would pass me, I would always hear ‘Stick!’ - basically hold your line so you don't cause an issue. The line I was holding was the Black. I tried to stay there, and honestly, I was so focused on the black line that I made myself nauseous. After 20 km, I had to go off the track and into the infield as I thought I was going to hurl. I sat there for a while, actually quite scared. I had folks through Infinit and family/friends donate an amount per lap. Based on the commitments that had been made, if I rode 725 laps, we would raise about $1200. I had to figure this out! 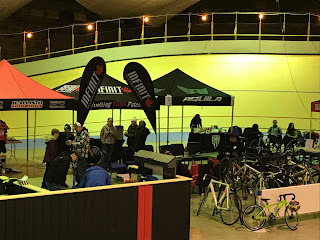 In talking with Mike from the Waterloo Cycling Club, he gave me a tip to look further ahead and look up to the corner and not directly down on the Black. Once I made this adjustment - the laps went by quickly. I got in behind Ed and one of the Team for lots of it, and was happy to be keeping the pace. Sometime after 4:00 a.m., I came off the track and confirmed I had hit the 100 km - actually I hit 104 and 756 laps. Great! I was able to go back to my parents and sleep! I slept until 8:30 a.m., had breakfast and a shower, then went back to see Ed finish this out. This morning was much like yesterday when I first arrived - lots of folks on the track and lots of supporters. It was terrific to see Ed finish and get emotional - it is impossible to not get emotional when you go to these dark places and achieve something as epic as this. Ed broke the record at 735 km and had 20 minutes to spare. Ed speaks to the experience in the photo on the right. Click to see the CTV post coverage here. Actually, it was so great to see the images of the facility just a few days before as this was how I remembered it previously – it was absolutely amazing that the Team transformed it in a week. I don't know all of the Team, but I know the Real Deal Team and Amanda took special care of Ed for the 24 hrs. Ed was all business: 55 minutes of riding per hour, refuel a bit, stretch, mild massage and get ready for the next hour. 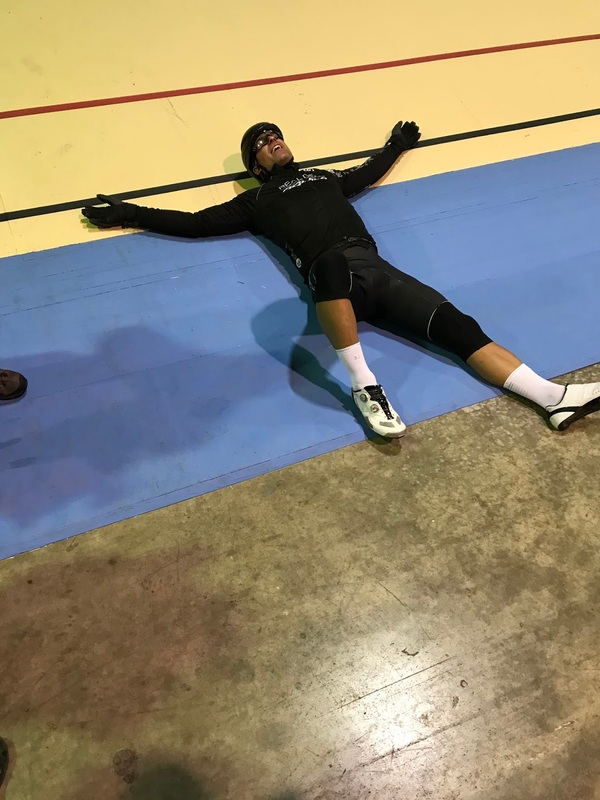 It wasn't until the very end where you could see him relax, if you will, that he was really able to take in how magical this was and comprehend that he had accomplished an incredible goal. Back to the reason for all of this, in the coming months with $55 K raised an update to the heating and lighting will occur. This will make for a more comfy environment, one that will keep our youth coming and lap by lap becoming some of the best the sport has to offer. Infinit supports raised over $1,500 while Darcy completed 756 laps. This weekend was truly inspiring. Dare to dream, have the discipline to act and don't forget to ask for help - That's exactly what this community did and I can't imagine a better outcome. "I am so thankful for you and your wonderful product. I can't imagine going the distance without it. I was working so hard on putting the event together and getting the track ready that the ride and my fuel was really an afterthought if you can believe that. You came out of nowhere to save the day Darcy and I couldn't be more thankful. It is hard to know how these things happen. 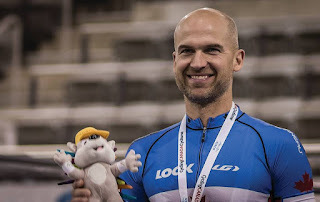 A random email turns into you and I sharing the track and doing an epic event together"
I am so grateful that I got to be part of such a great Team experience, this community and to witness someone truly stretching their limits for an amazing cause. There are the physical ways we will see immediately, improved lighting and heating and likely stronger attendance. Coupled with that you will have many young and old, exploring their limits because Ed showed us what is possible when you dream big. 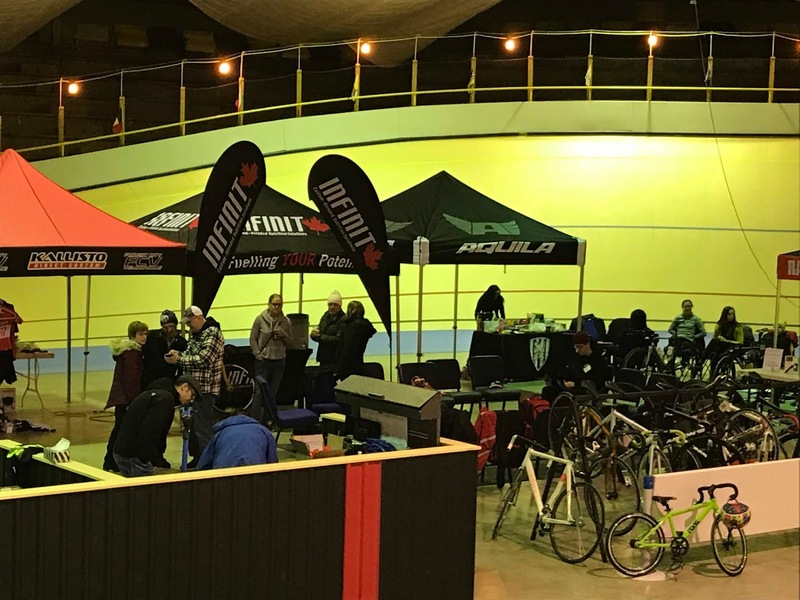 Congratulations Forest City Velodrome, Ed Veal and the entire Team that made this result possible.